Pick a good quality posture chair if you can - Back problems account for 40% of long-term diseases of the motor system in the western World. 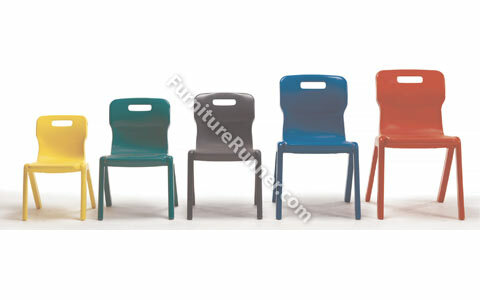 Titan One Piece Chair - Available in 5 height options and 5 colours. Titan chairs have been developed with a unique leg system that actively prevents children from leaning back on their chair. Conforms to EN1729 parts 1&2.